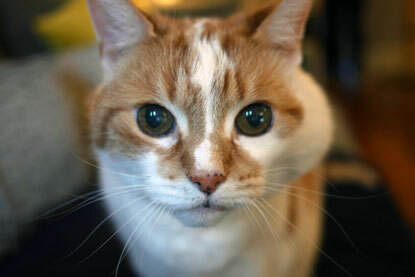 Toby was a very special cat that came to us in early February 2016 after his owner passed away. 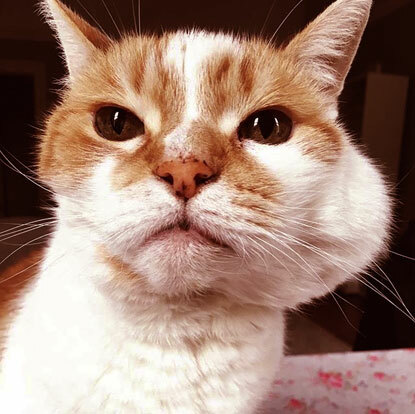 Toby was a senior feline who had an inoperable tumour on his face and it was confirmed by the vet that although nothing could be done for Toby he was not in any pain or suffering. 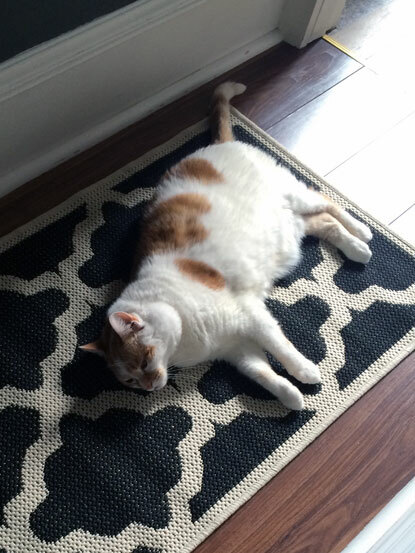 After reading about Toby on our Facebook page he was adopted by Lisa and her family in late February and our branch cannot thank them enough for giving this wonderful elderly cat a warm, happy, welcoming home where he was loved every single day of his remaining life. “We got Toby in February after we saw him on CP’s Facebook page – we fell in love with his story and of course his beautiful face, and being an older cat with a terminal health problem, we thought that he may not have had a lot of people willing to take him on and felt we could offer him a nice comfortable home for the remaining time he had. “On the first day he stayed under the bed. Then he finally set up home in our hall cupboard next to the ironing board and hoover, which we thought would maybe be the best we could expect, after all he was an old boy and was sick so we weren’t expecting miracles… but after a few days his nose got the better of him and he started to wander out. “After a week or so he completely came out of his shell and you would have thought he’d lived with us all his life, it was really incredible. We completely fell in love with Toby! He was one of the friendliest and most loving cats we’ve ever had and absolutely loved lazing on the couch and lying in bed with us at night and first thing in the morning. “Most of our time with Toby was pretty much symptom-free apart from his tumour visibly getting bigger – we took him to the vet for regular check-ups and he was always ok but a couple of weeks before we lost him one of his eyes looked larger than normal and we noticed he blinked it less. We took him to the vets for appropriate treatment. "Next, Toby’s appetite decreased and despite tempting him with all sorts of food, he was not keen or able to eat much. 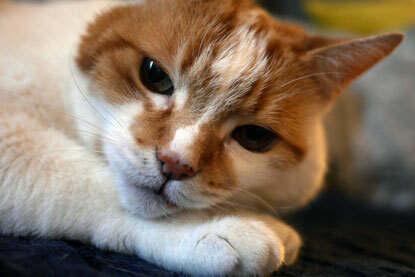 The tumour was now affecting Toby’s quality of life and after a couple of days of this we knew it couldn’t go on. We took the decision to take him to the vet, knowing the inevitable was going to happen. It was a heartbreaking day and although it was definitely the best decision for Toby, it really didn’t make it any easier for us, we were completely heartbroken. “Toby was a very special boy and we’re so glad to have met him and hopefully made the last few months of his life nice – he certainly made them nice for us. I also can’t thank Cats Protection enough for all their help. Thank you for caring for Toby in his last days every animal deserves some love. Aww, this is so lovely. I'm glad he found such a good home after his first owner passed away! What a beautiful boy and what a beautiful thing to have done giving him a happy home for his remaining time. Be proud of yourselves. Oh what a lovely story of Toby. It was so kind of you to make his last days being comfortable and knowing he was loved again. Would you mind if I use your pictures for my art classes. He was so beautiful. You can find me on Facebook and private message me to let me know. Thank you. God bless you. Toby is an angel now. Hi Shirley, that's absolutely fine - you're very welcome to use the pictures in your art classes. We'll message you on Facebook too although the message may go into your 'other' folder. That's such a lovely thing to do Shirley, I would love to see the drawings once you have done them. Thanks for your kind words too.